Get ready for Maison Love Marie! 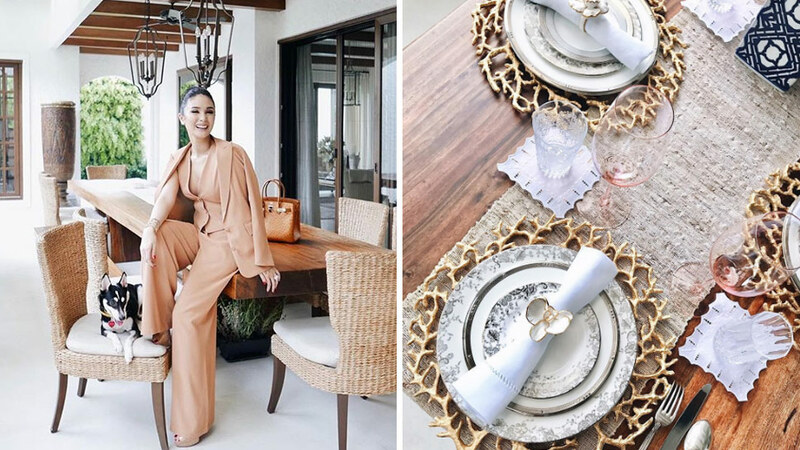 It's no secret that Heart Evangelista has an impeccable taste—her OOTDs are always double tap-worthy, her painted bags are a work of art, and even her new home is oozing with sophistication in every nook and cranny. That said, when the actress first dropped hints on Instagram about her new passion project, we had our fingers crossed that she was indeed referring to her very own brand—and luckily, we can now confirm that Maison Love Marie is finally in the works! Knowing how passionate Heart is about interior design, we can’t wait to see what surprises she has in store for us with the launch of her upcoming home line. Whatever they are, we can already tell that they’re guaranteed to take our table setting skills up a notch. Apart from this posh home line we can’t wait to get our hands on, Heart will also be releasing an array of personally designed clutches for her Love Marie brand. According to Heart, her home accessory and clutch lines are expected to be released next year. We don't know about you, but we're already excited to go shopping!